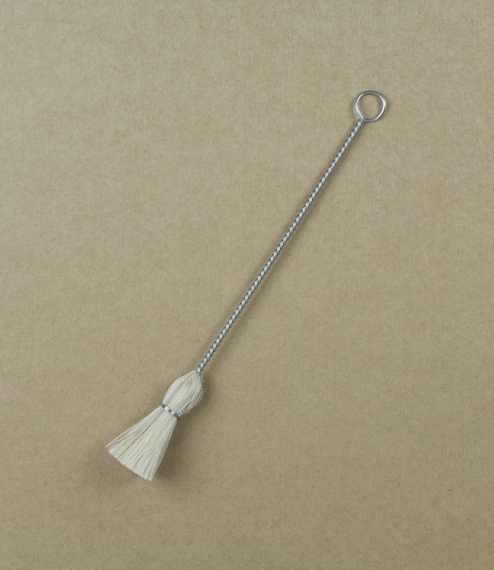 A handmade pastry, barbecue, or baking brush of waxed birch, stainless steel wire, and horse-hair - which has the advantage, unlike synthetic bristles, of singeing rather than melting if burned or too hot. 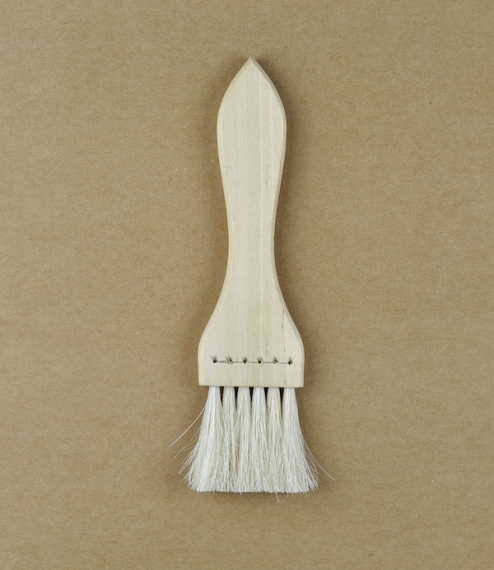 In Sweden there is a tradition of visually impaired craftsmen finding work in the manufacture of brushes. This continues today in the form of Iris Hantverk, which not only employs over 30 such individuals but also won renown for their enduring quality and design. About 16cm long with a head 4cm wide with bristles of just over 3cm.